Tonight in Ferguson Missouri, prosecutor Bob Mc Collough announced that Officer Darren Wilson will not be charged for shooting and killing 18 year-old Mike Brown in front of witnesses at 1 in the afternoon August 9th. While the prosecutor confirms Darren Wilson was responsible for killing the unarmed teen, the grand jury, led by the prosecutor, did not return an indictment. 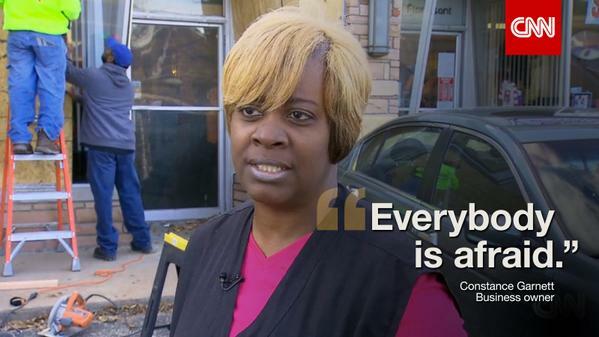 Darren Wilson is now a free man. The announcement comes floating on a flood of calls for calm from everyone from the governor and the attorney general to Michael Brown’s father. Since that night in August when Michael Brown was shot down in a residential neighborhood of Ferguson, protesters have applied steady pressure calling for accountability for his killer–Officer Darren Wilson– and those in the system who protected him. 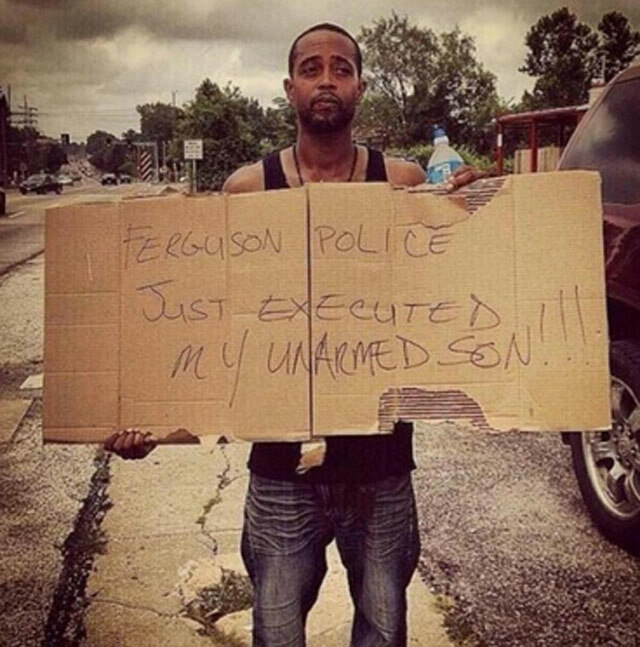 Mike Brown’s stepfather holds a sign accusing police of shooting his unarmed son just hours after the shooting. Secondly, media narratives that frame peaceful protesters as blind mobs bent on violence and destruction of personal property, justifying strong armed retaliation of the police, keeps the focus off the injustice at the heart of the Mike Brown case. While news stories in the days leading up to today’s announcement focus on preparations for a hurricane of violent protest, Darren Wilson has already negotiated a quiet exit. Wilson has been on paid administrative leave since August 9th. Given the lack of an indictment Wilson was eligible to return to work on the force. That he could negotiate this at all adds insult to injury–he was legally able to return to patrol the same streets that he shot Mike Brown on, despite dozens of eye witnesses to his unlawful use of force and the continued potential of federal civil rights charges. Today’s decision is clear evidence that we have yet to shed a history of racial disparity in our justice system. You may say, as many will in the days to come, that if the grand jury decided there was not enough evidence to indict, then Darren Wilson remains, legally, innocent, and therefore, no racism occurred. 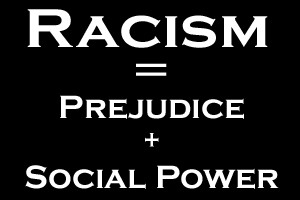 Let’s be clear: racism is the systemic exercise of power advantaging one racial group over another. 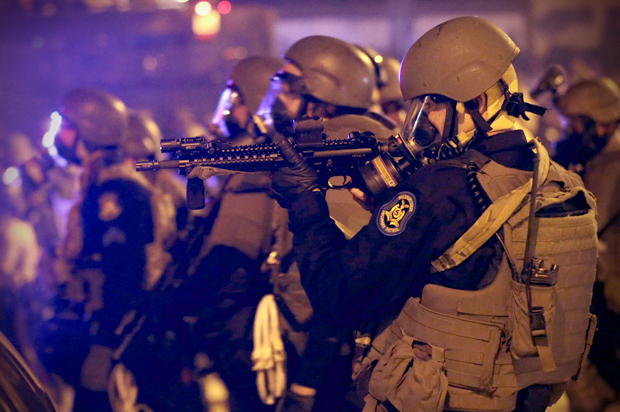 The shooting was just the first in a long string of points of tension in Ferguson. 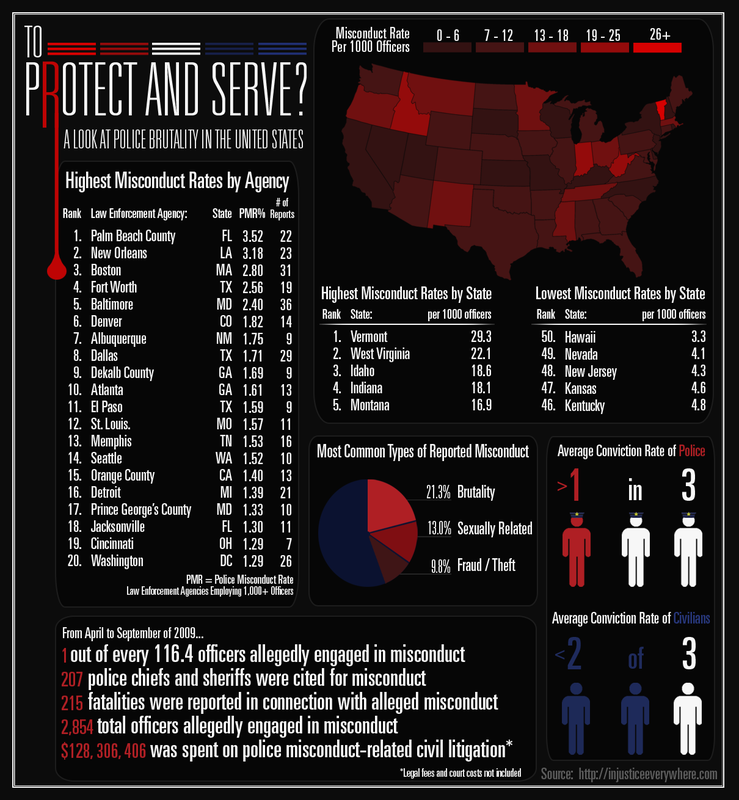 In the Mike Brown case we have seen authorities exercise power in their own interests over those of Mike Brown, the community or the constituencies to whom they are responsible. Despite widespread calls for the police chief and the prosecutor to recuse themselves, they have refused. Calls for independent special prosecutors trusted by both sides were denied. Information leaks, clouds of tear gas, FAA restrictions on media and hundreds of arrests, including the arrest of many high profile civil rights activists and peaceful protesters, line a trail of racism from Mike Brown’s body to the steps of the Missouri courthouses. To be assured that if you are a black man you may be stopped by the police and shot down in the street like a dog. To look at young black boys innocent before the world paints them as wolves. To send your husbands and sons–and daughters for that matter–out with the knowledge that they may be targeted by those sworn to protect them–this is the reality, and one well worth your rage. Now is the moment not to fall apart, but to fall together. Since Wilson has not been charged, double jeopardy does not apply and another prosecution of Wilson is possible. Remember, any decision on federal civil rights charges in the case are still pending, so there is still opportunity for national pressure to bring justice in this case. . Whether black or white or Latino or Asian, we’re all responsible for keeping the American dream of freedom and equality for all alive. Don’t be distracted by fear mongering and race baiting. Let your anger today be a weapon polished with knowledge and drawn in civil action against those who think you too uncivilized to fight strategically. Fight with tweets, fight here with words and letters and here with marches. Fight with your drunk uncle at Thanksgiving. After a recent discussion about Ferguson in my college class, a students asked me, “What should I tell my 3 year old son? 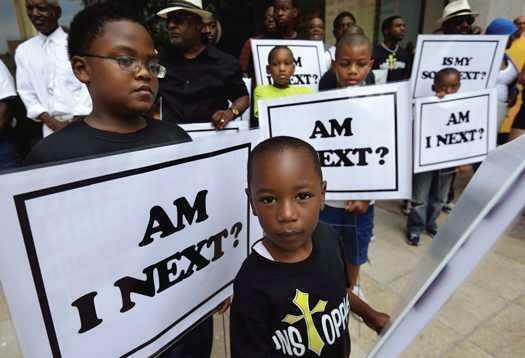 ” The very idea that he will need to know about systemic racism when he is Mike Brown’s age breaks my heart. Despite today’s decision, this cannot persist. We as a nation must do better. Nurse your broken heart today, and then lace up your gloves. Previous Post Is This the New Black?